Time to Shine! 2017 Angkor Photo Festival & Workshops! The Angkor Photo Festival & Workshops has some big news for you! Photographers, while we appreciate your enthusiasm as always, we request you to kindly hold your submissions, because this year we will not be hosting our annual projections. We are extremely proud to announce this change, as it is only a result of the hard work and dedication of our students. Over the last 12 years, we have held countless workshops and projections in hopes of building a community of emerging photographers in Asia. We have had the pleasure of watching hundreds of young and talented artists master their craft, and it’s time to give them a chance! Being the only photography workshop of it’s kind, we have played a major role in building this community, but we need to step back to allow room for our participants to shine. We’ve paved the way, now it’s time to move forward! To all of our beloved students; don’t worry, in the fashion of your collective creative spirits – the Angkor Photo Workshops & the Anjali Photo Workshops are under constant evolution! 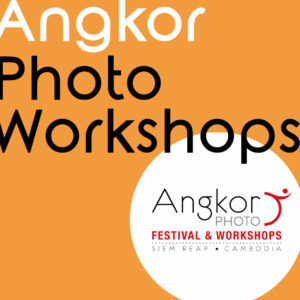 The core of the Angkor Photo Festival & Workshops since its origins, our annual Angkor Photo Workshops will continue to embody our endeavour to provide a professional, affordable and accessible, training to the next generation of Asian photographers. Asian emerging talents… Get your application ready! Initiated in 2005 by Magnum photographer Antoine D’Agata, our annual Anjali Photo Workshops will still empower underprivileged Cambodian children to see photography as a creative expression. We will always truly believe in encouraging the children of Anjali House to tell their own stories, and to develop their self-esteem and self-discovery through photography.